Want to create the next generation fully featured Android app with the robust tech-stack & UI/UX design? Great, you’ve landed the right page. Android App Development services at your fingertips! Being a reputed Android App Development Company in Australia for over 5 years, we have grabbed the attention worldwide for creating android apps with an incredible functionality. To make our every app rule a million apps in Google Play store, we have been delivering promising Android App Development services without compromising on App Strategy, Development, Design, & Testing. 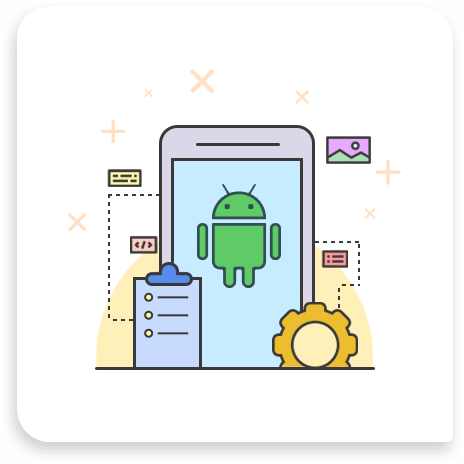 Backed by a team of 50+ developers specialised in crafting database driven or standalone android apps, we are positioned as a competitive Android App Development Company in Sydney that guarantees excellent services. The list of tools & frameworks we use includes Android Java & Android SDK, SQLite, Android Emulator & Eclipse. Clap To Find, Whistle To Find, Toga, San Jorge, Engage CRM, FYF, WizCard, Safe Trip & TextSpeak Notify are full stack apps developed for Android phone & tablet. Our app developers create MVC modules, frameworks, define layers such as Network, Database & UI and perform frontend & backend development. Our team of dedicated android developers excels in building android specific responsive apps with an agile Android App Development approach. We have a track record of developing apps for almost every category of Google Play Store. The technical & creative minds behind our apps make a thorough market research to develop the final product implementing the latest tech trends & framework. ChicMic provide Android App Development in Melbourne to clients across diverse market verticals.